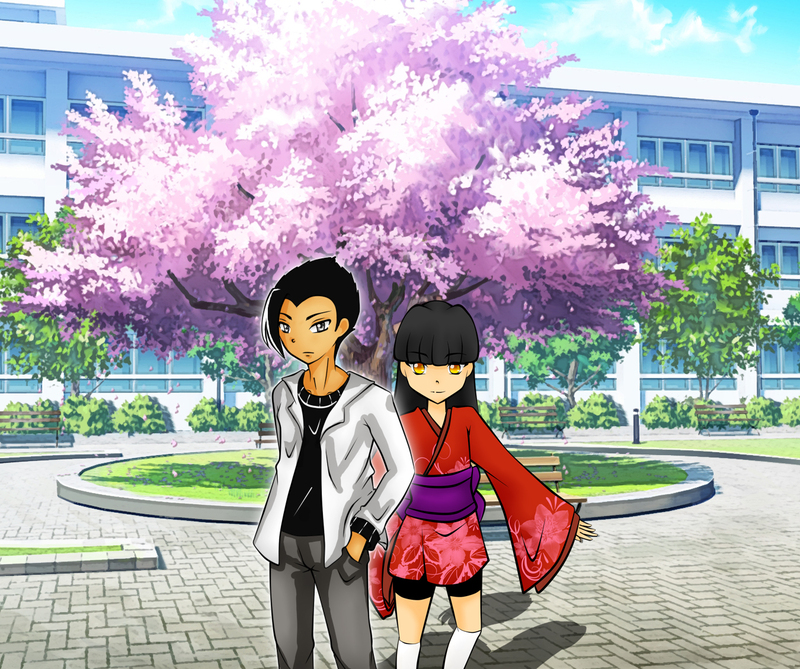 Yscariot and Miho during the Sakura season. Characters by Rin, background by unknown. ‪Sakura‬ or ‪‎桜‬ is a flower that blooms from the ‘Prunus’ tree. It is best known in English as the “cherry blossom”. Sakura is also a popular Japanese name. It is the current trend of nature each Spring in different parts of Asia. If you are viewing Sakura at day, it is ‪Hanami‬ or ‪花見‬. Conversely, night viewing of Sakura is ‪Yozakura‬, or ‎夜桜‬. Anyways, the Zeta is coming with the final two free chapters! Be sure to be on the look out for that, which is coming this month! Extremely big. Fifteen years of telling the story to myself, and now it is time to write it all down. When my book is finished, I will look into writing more stories. This is what my life is about. There are other people to write about… let’s look at the future. The future of Y… always stay tuned and be involved. The Neo-Alpha is now available for FREE on Google Play Books or Google Books! Link available below or just search by typing “Yscariot or Neo-Alpha” in the search bar.